Buy one energy saving lamp – get another one free! 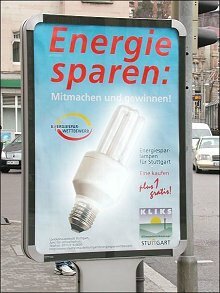 This campaign is part of the Climate Protection Programme by the city of Stuttgart. Note: The campaign ended on 31 December 2004!